Buying a home in Miami can sometimes be over-whelming. 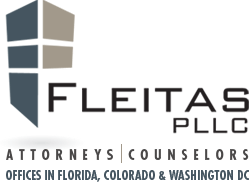 At FLEITAS PLLC we take the stress out of the equation. Whether you want a condo on Miami Beach, a luxury home in Key Biscayne, or a quiet residence to raise your kids in Coral Gables, our attorneys will be with you every step of the way. We offer comprehensive representation to our clients, because we understand that buying a home is often the single-largest investment an individual will make in their lifetime. Most purchasers are not familiar with the real estate industry. Our firm provides our clients with a checklist of items tailored to their particular transaction. Answering questions like: “What is a loan commitment?” “What is title Insurance?” and “Do I need a survey?” are all frequently asked questions our legal professions are ready and able to answer. Refinance transactions are on the rise, as homeowners are taking advantage of historically low interest rates. Our residential real estate attorneys sit down with our clients and explain to them if refinancing their home is right for them. They discuss the essentials with the client, so they can make an informed decision. Understanding the closing costs involved; the “breakeven” point; and the loan’s APR are just some of the topics that we advise our clients on and ensure they are aware of. Whether you are purchasing a home or refinancing, our job is to ensure that you are protected. Our experienced residential real estate attorneys are involved from contract to closing. It is our pledge that our clients understand everything before you close.